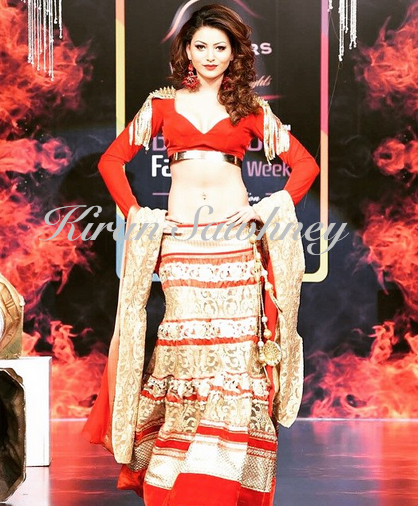 Urvashi walked the Grand finale as showstopper for Krishna Dembla At. It was for Bangalore fashion week 2015. This was for bridal wear. Our verdict- super tacktastic (tacky). We hope we do not see this off the runway. Its a NAY for us.